OAKLAND, Calif. (KGO) -- We continue to learn more about the victims of the Ghost Ship warehouse fire. What they all have in common is a love for music and art. "I feel guilty I didn't say goodbye," said Bob Lapine, who lost his son Edmond in the fire. The 34-year-old is originally from Salt Lake City. He moved to Oakland where he loved the music scene. "He made an impact, and you wonder what he would have been if he had survived," Lapine added. Wondering and wishing are thoughts passing through the minds of so many who miss their loved ones. 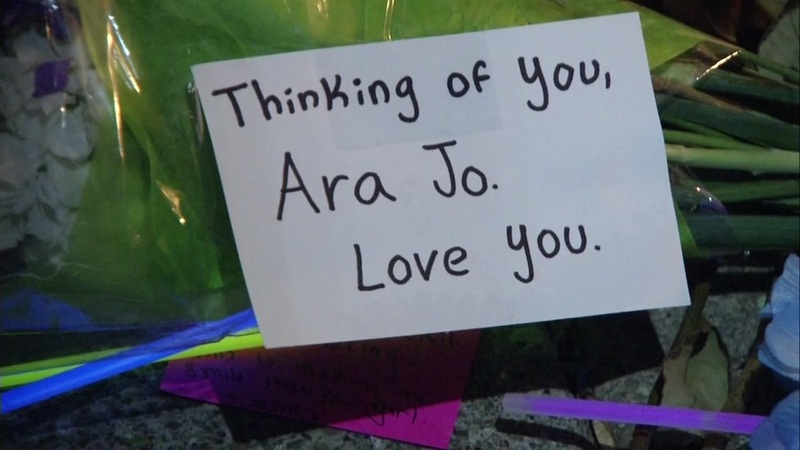 Authorities notified Ara Jo's family on Sunday. Her body arrived in Southern California Tuesday. That's also when her parents arrived from South Korea. Her uncle, Han Park, remembers her fondly. "She would stand out in a thousand people, you'd spot her in three seconds because she had a smile and a very loud laughing voice," Park said. JO was a painter and lived in Oakland. At San Francisco's Green Apple Books and Music, everyone is feeling the loss of Johnny Igaz. "He immediately made his presence known," said co-worker Kevin Hunsanger. "As brief a period of time, he was here only four months, he touched everybody very deeply. Igaz was drawn to the Ghost Ship Friday night to be with friends and the music.